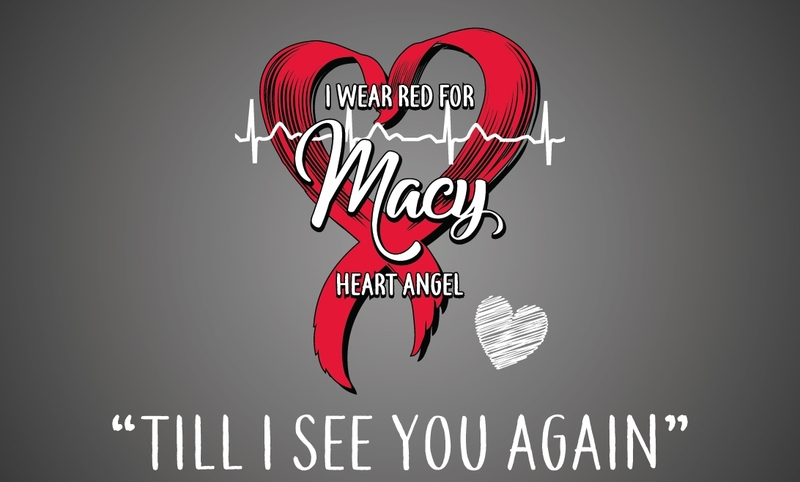 Join in the heart walk and celebrating Macy Weiler by purchasing a I wear red for Macy t-shirt. The Web Store will close on Thursday, September 13th at 11:59 pm. Choose LOCAL PICKUP and we will notify you when your items are ready to pick up at Get Branded 360. You may also choose to have the items shipped directly to you.